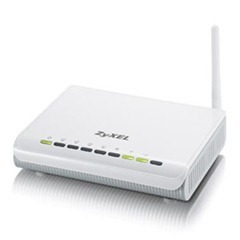 Thanks to the 802.11n technology, the ZyXEL NBG-416N Wireless N-lite Home Router upgrades your wireless network with ease. Its rich green features provide power-saving benefits without compromising performance. 3. Firmware upgrades may reset the router’s configuration options to the factory defaults. Before performing an upgrade, please backup you current configuration first.